Stuff By Belle: March Inspiration from VLVS! 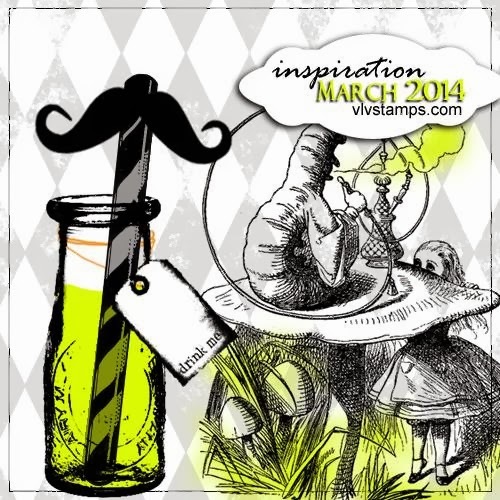 I always love the mood boards DeeDee comes up with over at Viva Las Vegastamps! and this one is so FUN and whimsical!! It seems like I always am inspired to make a tag but I am alright with that! I LOVE tags! I was inspired by the images and the colors from the mood board. My tag base is Simple Stories Homespun and uses FOUR VLVS! 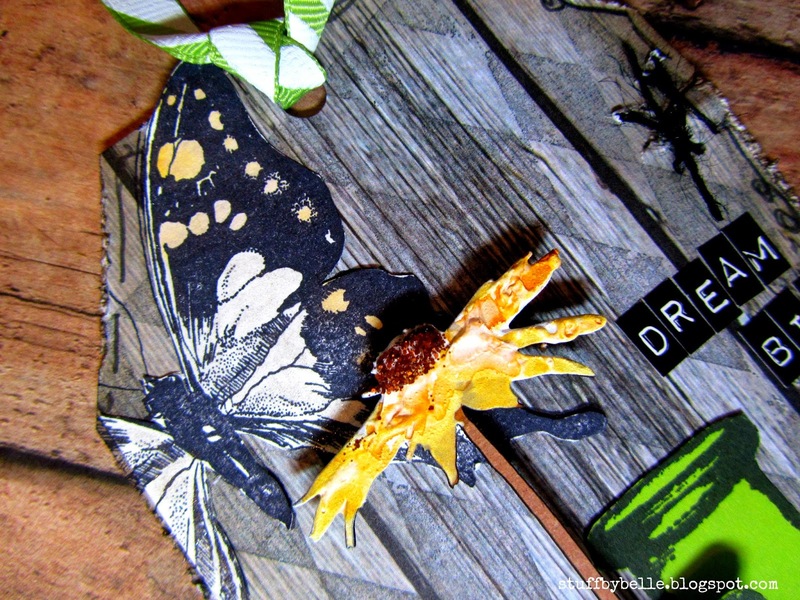 stamps; Spotted butterfly, harlequin diamond background, caterpillar and milk bottle. They are all stamped in distress ink and archival ink and some have a little bit of distress marker color. The chipboard daisy is from Um Wow Studios and I used gesso, distress stain and distress stickles to jazz it up. The eyelet, twine and ribbon are all from May Arts. 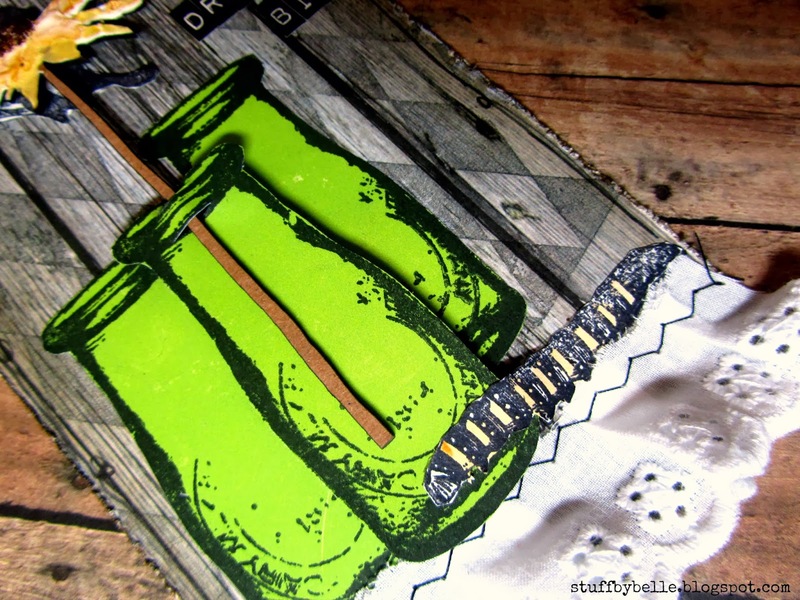 I love fussy cutting and layering the stamped images. I popped up one of the bottles and half of the caterpillar. You have until the end of the month to share how you were inspired by the mood board, link up here. Awesome tag, love all the details. 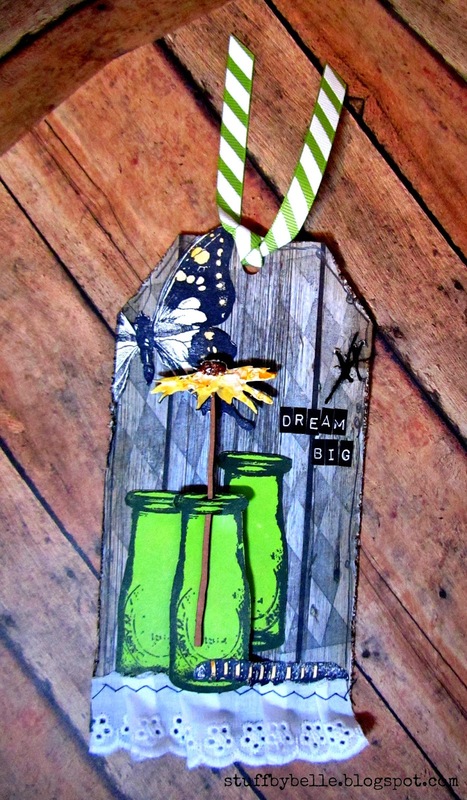 Love this tag….now I'm gonna have to get that milk bottle - darn it! This is amazing. it's so BOLD and awesome!